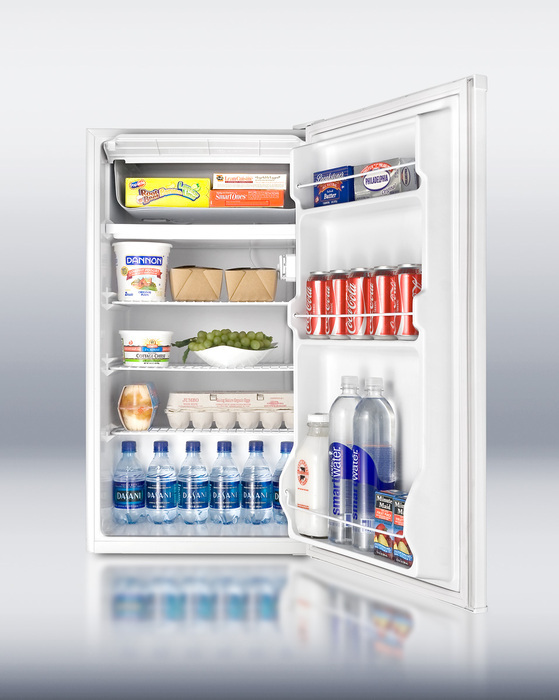 Shop online at KitchenLav.com - Shop at home, at work, or on the road, with 24-hour access to suit your schedule. Open online seven days a week. We value your business! Call us Toll Free at 888-550-1198. Leave us a message in the event that there is no answer due to high traffic level, OR you have reached us outside our normal hours of business, which is 8AM to 8PM EST, Monday to Friday (excluding holidays). To be contacted by one of our sales representatives during business hours, please fill out the form by clicking on this Request a FREE Quote link here. We accept all VISA, MasterCard, American Express and Discover credit cards. Paying online with a credit card is easy and safe. Our secure server encrypts all submitted information. Just enter your credit card information in the secure checkout order form. We also accept PayPal for purchases. 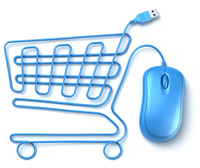 All payments are processed through a secure payment gateway provided by PayPal. To make a PayPal purchase, simply give us a call and we will provide you with the order total and our PayPal account information. Once you pay for your order with the PayPal payment method, you will be asked to log in to your PayPal account to complete the transaction. If you do not already have a PayPal account, you may set one up during the checkout process. You will then receive an order confirmation by email. 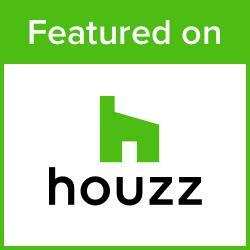 We cordially invite inquires from established folks in the trade such as retailers, remodelers, decorators, designers, architects and builders. If you do not see a product you are interested in, please call or email. Feel free to contact our customer service team if you have any questions or concerns. We prefer human interaction. Give us a call. Toll Free 888-550-1198. What are KitchenLav.com's phone numbers? Below are a few of our important telephone numbers. Please feel free to call or email us whenever we can be of help. Please use email address shown above to contact webmaster with any web site related comments or issues. While many of the items at our Kitchenlav.com online website catalog sections are on display in our store and in stock, many items are only available by special order. Please contact us for availability and pricing information. 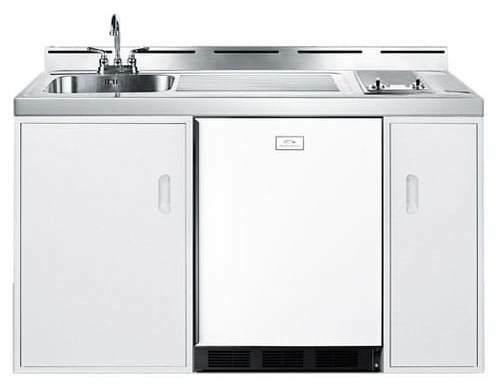 KitchenLav.com offers a wide selection of In House, In Stock as well as Custom Made Compact Kitchen Units, complete with available accessories. Compact Kitchen Units. All-In-One Kitchens. Compact Kitchens with Cabinets, Sink and Refrigerator. Compact Kitchen Units, or Kitchenettes are all-in-one combination kitchens made in several sizes, color finishes and with just about any appliance combination, depending on the manufacturer and available models. Combination Kitchens with electric burners. 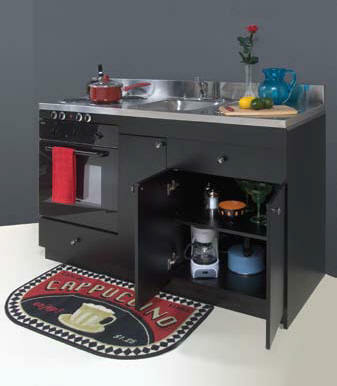 Affordable, small size utility kitchens are excellent for projects with a limited floor plan. 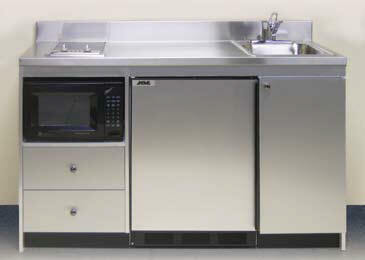 Compact kitchens are sometimes referred to as combination kitchens or Country Kitchens and combine a stainless steel sink and faucet, undercounter refrigerator, range top with two cooking burners, such as the ones shown here. Efficiency kitchens are ideal for assisted living facilities, apartment complexes, student accommodations, offices, motels and cottages. 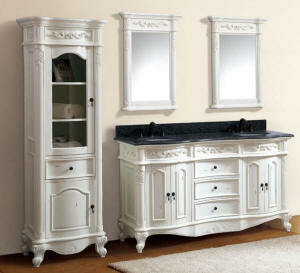 Call us toll free for more details on these models and other larger combination kitchens. 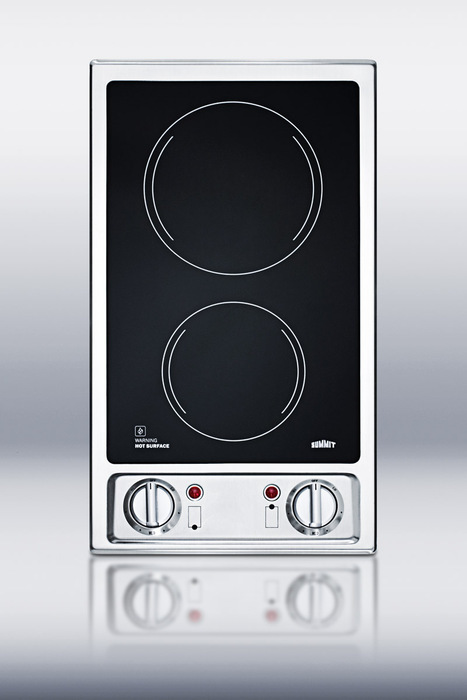 Some Compact Kitchen Units are available with matching wall cabinets and Gas Cooking. 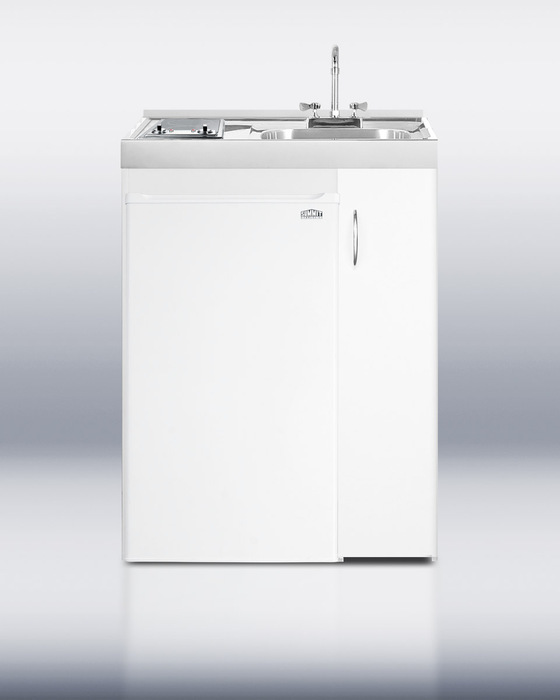 New: Ask us about our new line of kitchenette compact kitchen white or stainless steel Space Saving Appliance Station. One Stop Store for all in one built in kitchens. 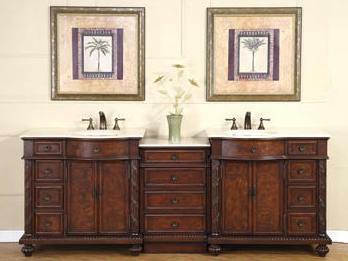 Gas or Electric, small or large, any color or wood finish. 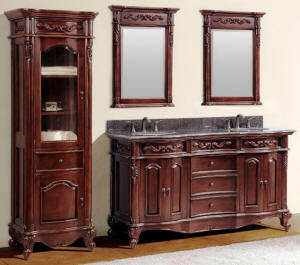 We offer a huge selection of Bathroom Sink Vanities, Single and Double Sink Cabinets.